Recently flew from Orly to Fort-de-France in Martinique with Air France. Although the airport itself has an old feel to it it still has character and real French character unlike Paris CDG! The main comment I have however refers to the state of the chairs in the Air France business lounge - most of them are filthy! I am amazed that Air France has not addressed this - it gave a very bad impression on an otherwise nice lounge. 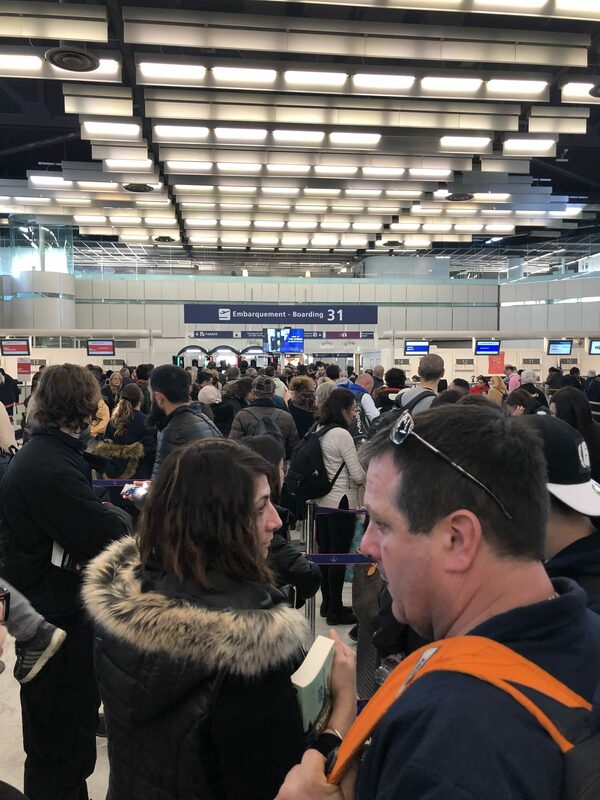 One other comment - if you are going from Paris CDG to Orly at 8.00 am in the morning by the Air France bus be prepared for a very very crawl in traffic! The morning I took the bus it took almost 2 and 1/2 hours to get to Orly. Hence passengers going to Orly at this hour of the morning should look at perhaps the train option! In addition these AF buses often are very stuffy when they have the heat on in winter so you may arrive in Orly somewhat fatigued! Used the West Terminal last weekend. 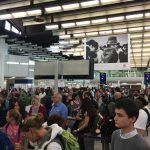 Hot tip of the decade - after check-in don't go through to the departure lounge until the last minute. There's a shop selling chocolate and a "dire" bar called "Tip Top Tapas" if you please and that's it. On the check-in side there are countless bars and restaurants and newspaper shops. I asked and was allowed to return through the departure gate twice so I guess it must be a common question. All announcements were in French only (I was flying Iberia - Spanish would have been useful); flight was delayed two and a half hours and the Orly staff were useless. For me very much an "airport of last resort". Orly south is a sad terminal inadequate for modern day usage. 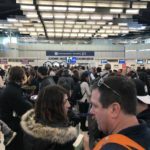 Queuing (or not) for Corsairs flights is a mess. It took about 1 hour to load the 747 (after a 5 hour delay) passengers standing on the stairs as the holding room was far too small. Boarding is then via a bus trip around the airport. There is one thing incredible from Orly. Baggage claim is accessible to anyone!!! I've never found something similar all around the world. I mean more clearly anyone who reaches Orly can directly goes to a baggage belt and take you bag without any problem! Imagine when you are arrived you follow the signals and you discover yourself in the medium of the check in area!!! You feel you have missed the baggage claim - no it's there! Well in some words horrible airport old fashioned. However I use it only if I have to make a direct flight (for example Paris Madrid) and I don't check in baggage. Connection to Paris is not good either. Orly needs a RER stop (commuter paris train) and not the expensive and wasting-time "Orlyval"
Just a further comment on ORY's convenience and transfers between CDG. 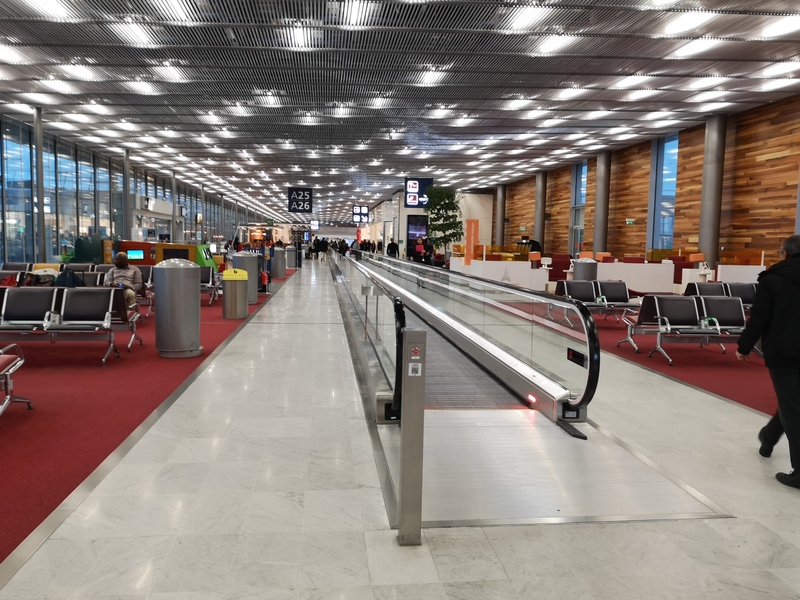 I was at Orly in late May 2004 and found it to be quite light and airy with good shops but also a little overcrowded with insufficient seating in the public areas prior to the departure lounges. As for connections to CDG it couldn't be easier. The light rail ("monorail") takes you directly to the Antony RER train station where you catch a direct train to CDG airport. The whole journey can easily take less than a hour. It is old and the age shows but the airport is thousands times more practical than CDG. It is more spacious more room for counters shops and other facilities. Schengen screwed up the South terminal dividing the airside into segments with long walks out to the Schengen flights. Before it was all one big airside area which was great for connections. They also have a fantastic observation deck with big windows and anti-terrorism protected but the views are good. 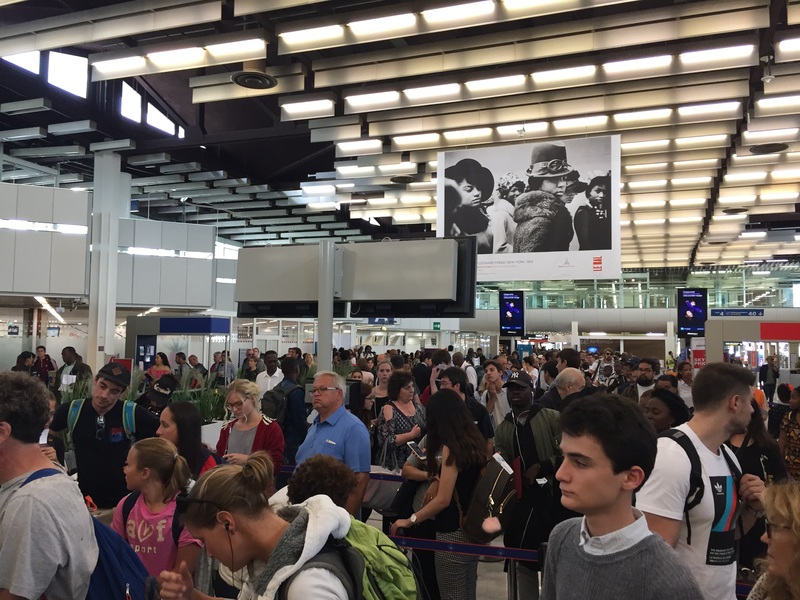 The French Gov't came out with a rule that Orly would only be used for short haul CDG for both short and long haul and hence many carriers including AA were kicked out of Orly and sent to CDG. I can't imagine what they were thinking. 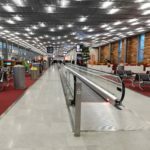 Orly is closer to Paris it is easier to use and is more practical. They need more hotels as the Hilton a good hotel is the only one on site (that I know of). I like the monorail between the South and West terminals. CDG would do well to have something similar. Also they need a direct rail link between Orly and CDG. Taking the bus is bad when Paris traffic can be so awful.